Are you sick of Zucchini yet? After you have baked, sautéed, stuffed, and grilled about as much as you can stand, here are three ways to preserve zucchini so you can enjoy the summer bounty over the winter months. By this time of the year, I stop trying to find new ways to use zucchini and summer squash and focus instead on ways to preserve zucchini to use over the winter months. You can preserve zucchini by freezing in two ways, shredded or cut pieces. Thawed shredded zucchini can be used to make frittatas, quiche, and baked goods such as zucchini bread and muffins. Slices or cubed zucchini can be added frozen to stir-fry, pasta and soup. 1. Use freshly harvested, small to medium size zucchini with no blemishes or soft spots. Wash to remove any residue and soil. Trim off ends. 2. Think about how you use zucchini and shred, slice, or cube it accordingly. 3. Package shredded zucchini into freezer bags. I like to measure it out into 2-cup increments because that is the amount my favorite bread and muffin recipes require. Remove as much air as you can, label, and freeze flat for easy storage. 4. For sliced or cubed zucchini, spread out the pieces on a baking sheet and freeze until solid, then add to freezer bags. This will prevent the zucchini from sticking together and allow you to grab a handful when needed. If you have a food dehydrator, put it to use to preserve zucchini by drying it. Dried zucchini takes up very little space. Believe it or not, about four pounds of zucchini will shrink enough to fit into one pint sized jar. Dehydrated zucchini is easy to add to simmering soups and pasta dishes. For pasta, just add the dehydrated zucchini to the boiling water at the same time you add pasta. By the time the pasta is done, the zucchini will be rehydrated too and ready for your favorite sauce. 2. Slice zucchini into 1/4-inch slices. 3. 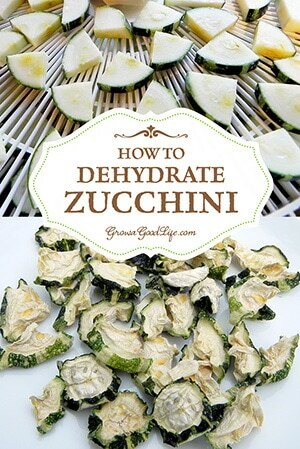 Lay the zucchini slices in a single layer on your dehydrator trays. 4. Set the temperature between 125°F and 135°F (or per your dehydrator’s instructions). Drying time ranges between 5-11 hours. Zucchini is brittle when dry. 5. Store dried zucchini in an airtight tin jar. *If you don’t have a food dehydrator, you can also dehydrate zucchini in your oven on a baking sheet at 175 degrees until zucchini is brittle (about 2-hours). Watch carefully so the zucchini doesn’t burn. 1. Combine sliced zucchini and onions a large bowl. Sprinkle salt over top, cover with ice and water, and let stand 3 hours. Drain and rinse thoroughly. 3. In a large pot, combine sugar, spices and vinegar. Heat just to boiling. Add drained zucchini and onion slices and return to boil. Reduce heat and simmer for 10 minutes. 4. 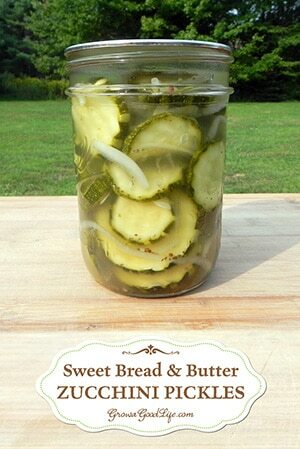 Pack hot zucchini and onions loosely in clean, hot pint jars leaving 1/4 inch of headspace. Add hot liquid to the jars. Remove air bubbles. Adjust jar lids. Process in boiling water bath for 10 minutes. Zucchini and summer squash are very prolific. 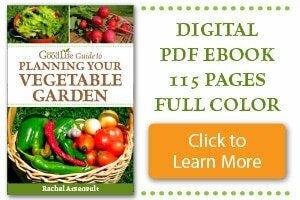 It is easy to become overwhelmed by the harvest bounty collected from even a few plants. 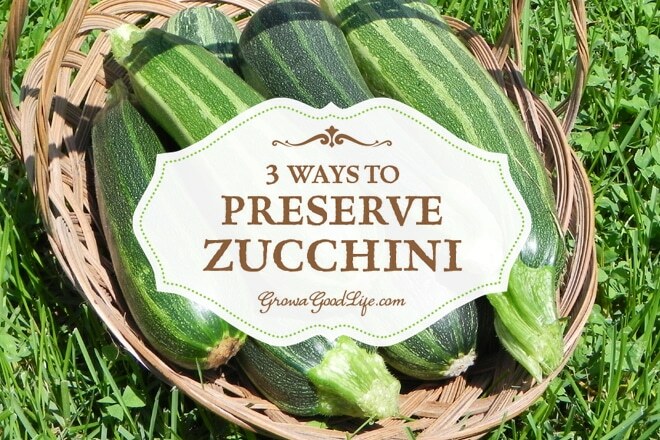 I hope that knowing you can preserve zucchini and summer squash to enjoy during the winter months helps you deal with the abundant crop that just keeps on giving. In your instructions for freezing, you list a pot and boiling water is needed but I don’t think they’re mentioned in the instructions. Does the zucchini need to be boiled before dehydrating/freezing? Thanks for thirst tips! Melane, Sorry for the confusion. I have removed the pot and boiling water from the list of instructions on freezing zucchini. Blanching before freezing is recommended to kill enzymes to help the zucchini last longer when frozen. I have since discovered that zucchini keeps very well in the freezer for at least 3 months without blanching, so I have removed the extra step from the instructions. Here are instructions if you do wish to blanch zucchini before freezing. No need to blanch before dehydrate zucchini. Our zucchini had barely started producing yet but they look real promising. 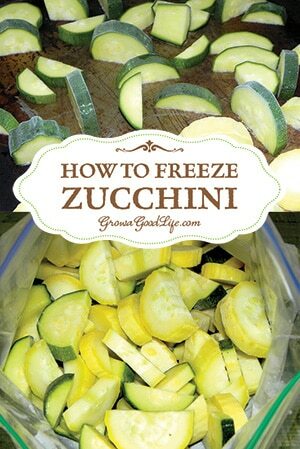 I freeze zucchini but I don’t cook them at all – I just cut them or shred and put them in freezer bags and freeze, It seems to work real well for me. Visiting Wildcrafting Wednesdays! Twitted & pinned. Michele, I love your unique ideas for using excess zucchini! Thanks for sharing. Try chopping your pickled zucchini smaller for zucchini relish! Add peppers as well, it’s so good! Anissa, I bet zucchini would make a great relish. Thanks for the suggestion! Freezing is my goto way of storing zukes. I usually just grate and freeze. I keep thinking of doing a few sliced ones though. I think we’re all zucchinied-out by this point. Way too many of them. Thankfully local kitchen takes them anytime! Like Norma, I had never thought of dehydrating – great idea! Never thought of dehydrating zucchini, great idea, do not own a dehydrator but will use the oven method. Thanks for the instructions. I never have pickled zuchinni Ill have to try that. Thanks! Pickling zucchini – what a great idea! I never thought of that. I can eat zucchini everyday though so I seldom have extra, even with a huge harvest! Thanks for the submission to the HomeAcre hop. Feel free to stop by at http://www.PintSizeFarm.com or another one of the hosts to submit another this week! I never dreamed of making pickles out of zucchini! Wow I am going to try that since we are swimming in them! My mom made pineapple zucchini when I was a kid and we loved it! Tracy, Thanks for stopping by. I hope you with give zucchini pickles a try. We love summer squash so much we could eat it every day. One summer our cucumber didn’t do well, so I made our bread and butter pickles with zucchini instead. I chopped everything up so it was more like a sweet relish. Thanks for sharing with us at Simple Lives Thursday! I can’t wait to see what you share this week. Angie, This is how I made my first jar of zucchini pickles. I didn’t have enough cucumber pickle jars to fill the canner, so I made up a few with zucchini to fill the pot. I was surprised that it tasted the same. We loved it. Rachel our zucchini didn’t come up this year. Crazy right! Loved your post though. 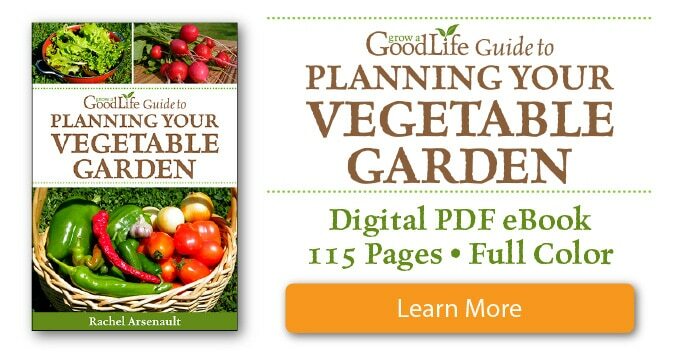 Valerie, I do two plantings of zucchini and summer squash a season. One in spring and one about a month later when the spring greens are finished. That way if the first batch has issues, I have a backup. I’ve never tried pickling zucchini before. What’s the texture like? Thomas, it is very similar to regular cucumber pickles but a little softer if the zucchini is old. Freshly picked works best. Thanks for the instructions. Impetus for me to freeze and dehydrate some of the excess this week. The pickles are good too, but I’m way too lazy to try canning them. Dave, skip the canning and store in the refrigerator. They should last a few months before getting soggy. Very cool, Dave! Thanks for sharing. zucchini relish is very nice, too! Yes, zucchini relish is a great way to use up that extra zucchini too! Thanks for the suggestion. Ooh, I haven’t tried tried pickling them yet! Maybe our garden will squeeze out a couple more. Rebecca, I hope you give zucchini pickles a try. I have pickles Zucks with garlic and they are good. ball Canning book has some recipes. Oh how I wish I was sick of zucchini. I don’t know why I have such a hard time growing them. I got a few so I am making zucchini bread. It’s like my relationship with roasting turkeys…. why is it I can cook everything except a turkey properly? frabjus, Luckily there are plenty of zucchini and summer squash available at farmers markets and grocery stores this time of year.